Both Cohesity and Rubrik have jumped on the converged storage trend by releasing data protection platforms. See the similarities and differences laid out. data protection products lies in the hyper-converged platforms that have proliferated for their ability to run virtual machines. Vendors entering this market count on the expectation that backups can be used to deliver value to the business, without needing to make completely new copies. The central idea is to converge the backup software into a backup appliance, then have the backup appliances scale out to accommodate the data protection workload. We are familiar with the hyper-converged architecture: A group of physical servers with a hypervisor that runs software to provide a storage cluster for running virtual machines (VMs). Imagine, for a moment, that the storage cluster software runs directly on the physical servers with no hypervisor. Now, we have a scale-out storage target. We also have plenty of server power to add all of the functionality of an enterprise backup and copy data management application. 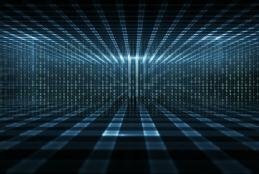 Two companies founded by former Nutanix staff, Cohesity Inc. and Rubrik Inc., have released similar converged data protection products that fall under this category: Cohesity's DataPlatform and Rubrik's Cloud Data Management platform. The core of both platforms is a scale-out secondary storage cluster that is sold as physical appliances with bundled software. Each appliance is a 2U enclosure with four discrete nodes inside. This is the same hardware Nutanix uses in its mainstream platform, Nutanix Enterprise Cloud. Multiple enclosures can be joined together in a scale-out cluster for more capacity and performance. Neither product uses a hypervisor, and each node runs the storage stack directly on hardware. The storage cluster has caching and tiering features, and each node contains a mix of SSDs and hard disks. Hard disks are used when capacity is important, while SSDs are used when transactional speed is important. The cluster has a built-in backup application that interacts with the customer's hypervisor to back up VMs. Usually, only the initial backup is a full backup, and then incremental backups are used. Both vendors started with vSphere hypervisor-level backup and are expanding to support backup of other systems such as physical servers. Naturally, there is a cloud play with both converged data protection platforms. The cloud can be another tier of storage, offering near limitless object storage capacity, but with slow restore times. The cloud can also be a replication location, providing an off-site backup. Finally, the cloud can be a recovery location, allowing disaster recovery to the cloud and testing in the cloud using a copy of the on-premises production environment. For recovery, or nonproduction use, the backup cluster can present a copy of a backup to the hypervisor. Copies of production data can be used for test and development immediately. These features look similar to those of virtualization vendor Actifio, but with the hardware of a hyper-converged vendor. Cohesity was founded in 2013 by Mohit Aron, formerly the CTO of Nutanix. Cohesity's SnapTree technology is one feature of the DataPlatform that can restore any object to any past time, without copying large amounts of data or metadata. Another differentiating feature is that the Cohesity cluster presents both NFS and SMB shares from the deduplicated store. This allows customers to use their existing backup software and to store the backups on the Cohesity cluster. Over time, customers can start using Cohesity's built-in backup to protect their virtual machines. Rubrik bills itself as the cloud data management company. Its core product focuses on protecting VMs, but recent releases have expanded to cover more data sources. In recognition that few companies have everything in VMs, Rubrik can back up physical servers and databases. They can also back up NFS and SMB shares from nonvirtual servers and NAS devices. Cohesity DataPlatform and Rubrik Cloud Data Management have similar core ideas: A scale-out cluster of tiered storage for all secondary storage. But each converged data protection platform has some very different capabilities, and enables some new ways of working with your data. How does a converged platform meet your data protection needs? The converged data protection market is expanding to include more offerings for varied organizations. Asigra, HPE and Acronis, for example, provide integrated products. The top converged data protection vendors tackle the public cloud in different ways. There are also some general obstacles to consider when using the technology. As converged secondary storage products continue to evolve, potential customers should understand the most important elements and note the substantial differences among vendors. Wouldn't a solution that included deduplication cover this: "backups can be used to deliver value to the business, without needing to make completely new copies?" Data protection is not as simple as a buzz phrase. It's also not one-size fits all. So this is a backup appliance, which has some scalability? That seems far from novell. The only advantage is the scalability as compared to such as Unitrends backup appliances. Scalability can be handled thru the virtual appliance though.